Dig into the Vito Wine List and you will be rewarded with some amazing finds. The Otium wine list is sorted very generally (i.e., Sparkling, White, Red, Rose, Half Bottles, Big Bottles, Fortified & Sweet). It’s not super-expansive as in some high end restaurants where you may be wading through 25 Cabs from Rutherford AVA, it aims to keeps it pretty simple. This pertains to the general wine list. If you don’t find anything that’s satisfactory for your occasion, ask the sommelier to see the “big” list. I didn’t ask to take a peek, but given the number of bottles they had on-site, I’m sure there’s something there for everyone. That said, there are some varietals that aren’t on your run-of-the-mill restaurant wine lists (think Savignin, Cinsault, Teroldego and Duras, just to name a few), enough to make the more adventurous oenophile in the group happy, and perhaps the whole party as a number of these are offered by the glass. Prices by both glass and bottle are moderate so you won’t feel like you might miss a mortgage payment or forgo your children’s college education if you partake. You’re looking at about $50/bottle to $130/bottle (higher for sparkling and large format wines). If you’re inclined to BYOW, corkage is listed at $35 per 750mL bottle (2 bottle max). As my friends maniacally ordered cocktails at Otium and then dishes - almost the whole menu actually - I had to bide my time and wait until I knew what we were eating before I could recommend wine. It was a smorgasbord of drinks and food but here we go! I opted to pick the 2015 Muscadet on the wine list. Muscadet Sèvre et Maine lies just outside of Nantes in the westernmost region of the Loire Valley, as the Loire River meets the Atlantic. The traditional fare is predominated by seafood and the wines of the area are suited to match those flavors. Sur Lie aging (where these wines spend the winter “on the lees”, essentially aging with the residual yeast) gives the wine body. Typically, it is drunk young and has a minerality that delivers a subtle salinity complementing fresh seafood (think oysters, shellfish or sashimi). Grape Varieties: 100% Melon de Bourgogne. Tasting Notes: Pale gold/green color. A fresh, intense nose with aromas of citrus fruit and peaches. Palate is well-balanced and supple and lingers in the mouth, lively and slightly fizzy with mineral and floral notes and a subtle fruit finish. The Côte de Beaune combines with the Côte de Nuits to form the soul of Burgundy (perhaps the world’s most preeminent wine region). And it is in Burgundy where Pinot Noir achieves its greatest expressions. While less esteemed than its brother to the north, Côte de Beaune still represents a relative value for Burgundian Pinot Noir. The classic flavor profile is red fruit (raspberry, strawberry and red cherry) that begin to move into earthier notes as the wines begin to age, where complex notes of mushroom, forest floor and savory flavors intertwine with the fruits. Duck and similar fowl are excellent with this lighter red as is perhaps its greatest pairing partner – truffles. Tasting Notes: Deep ruby red color. The nose gives aromas fresh red fruit (strawberry and raspberry, also blackcurrant). On the palate the wine is medium-full bodied with a soft structure and flavors of red fruits and mushroom. What Pinot Noir is to Red Burgundies, Chardonnay is to its Whites, with the Côte de Beaune being the unrivaled king. Meursault is one of the finest villages for Chardonnay in the whole of Burgundy. Whites from the Côte de Beaune tend to be rich, ripe and have the creamy buttery-ness and round mouth feel from malolactic fermentation. Meursaults shine alongside rich white meats and rich fish. Richer shellfish like scallops bring out its best, as does lobster. Tasting Notes: Bright medium gold color. The nose gives scents of ginger, anise and is somewhat more spicy than fruity. On the palate this wine has flavors of apple, pear and spicy oak, along with a slight minerality. On the west bank of the Garonne River in southern Bordeaux lies Sauternes. As the rivers create foggy mornings that yield to warm afternoons during the growing season, botrytis (referred to as noble rot) can form on the grapes. Botrytis has the effect of dehydrating the grapes and as they shrivel, sugars and flavors are concentrated. Sauternes are generally high in alcohol and acidity, but are luscious in their sweetness. Flavors of dried sweet fruits predominate with also nuts, honey and vanilla, but the most distinctive flavor characteristic of botrytis is orange marmalade. Rich sweet desserts to match the sweetness of the wine are desirable partners to Sauternes while it also is delicious with equally rich cheeses (think blue cheese) and foie gras. 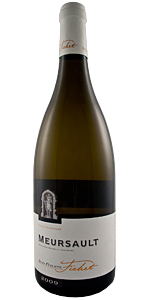 Grape Varieties: 88% Semillon; 8% Sauvignon Blanc; 4% Muscadelle. Tasting Notes: Rich golden yellow color. This sweet dessert wine has an intense nose with aromas of apricot, peaches and honey. Its acidity is well-balanced with the sweetness. Palate is flush with apricot, marmalade, honey and nuttiness.